Gifts from alumni, friends of the department, companies, and organizations help support the teaching, research, and outreach mission of the Department of Chemistry. 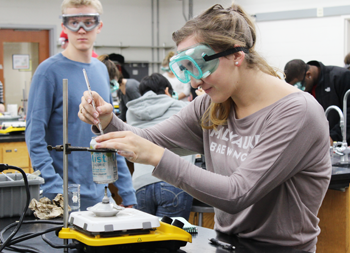 Your gift, no matter the size, helps us provide important learning experiences for the more than 13,000 students who take chemistry courses each year. Your support makes a difference in students' lives every day!